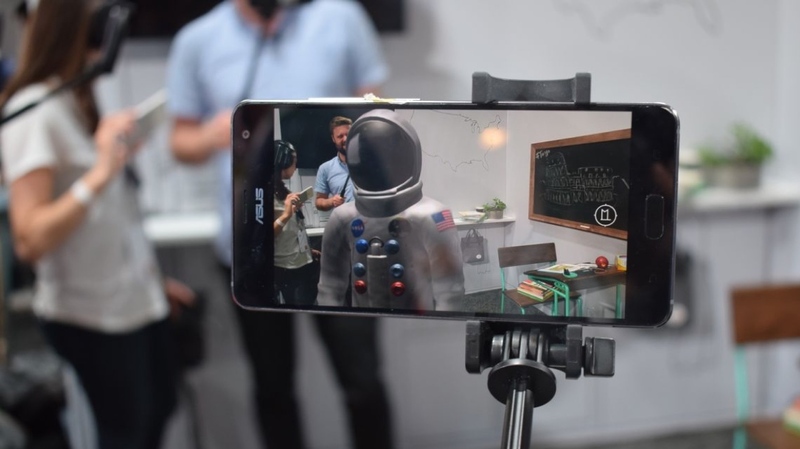 Google has announced it's getting serious about mobile AR with ARCore, its augmented reality platform and SDK for Android that's based on Project Tango technology. The move comes after Apple unveiled its own version of the mobile tech, ARKit, back in June, which is expected to form the basis for a potential hardware push - perhaps AR smartglasses - further down the line. The same seems to go for Google. ARCore will initially work with Android devices running 7.0 Nougat and above, starting with the company's own Pixel smartphone and the Samsung Gear S8 but it will also work with existing phones. Google is targeting 100 million devices at the end of the 'preview' for ARCore, and has stated it will work with the likes of Huawei, Samsung, Asus and LG in order to provide a wide reach for the platform. In terms of technical capabilities, the tech giant has noted ARCore will work Java/Open GL, Unity and Unreal engines while focusing on motion tracking, environmental understanding and light estimation. The latter will see ARCore monitor ambient light in the environment and make it possible for developers to light virtual objects to match IRL surroundings, while the environmental context will allow these objects to be 'placed' on the likes of tables and floors. Its motion tracking smarts, meanwhile, use the phone's camera to observe a room and determine its position and orientation as its moves. Of course, these features aren't anything groundbreaking in the world of AR, but it does signal that Google is committed to bringing them to mobile AR - and sooner rather than later. As we mentioned earlier, how it compares in practice to Apple's equivalent is also crucial. And with developers able to begin experimenting right now, expect to see plenty of nitpicking between the pair and even more creative AR exploits showing up on your Twitter feed.